A great crowd of folks joined us for a special evening of music with Steve Smith & Tim May on Friday night, Feb. 22 2019, including a whole busload of folks from Temple Baptist Church in Flower Mound, Texas. Mandolinist/vocalist Steve Smith and Nashville guitarist/vocalist Tim May brought us an evening of original, traditional, and swing music. 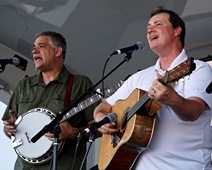 These two have collaborated in studio and on stages nationwide, and their show featured tight vocals and guitar, mandolin, octave mandolin, and twin mandolin works in a broad range of styles. 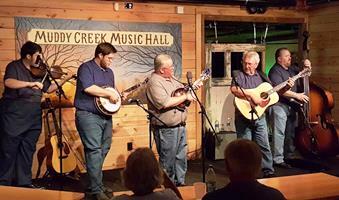 “The” Gerald Jones even stepped in to provide banjo accompaniment and his usual comic relief! Cuts from Tim & Steve’s latest record, a tribute to the music of the Carter Family, were featured. The duet album includes a swing version of Little Darlin’ Pal of Mine and a haunting acapella duet of Sailor Boy. Over 250 songs were considered for the album, and the duo narrowed the selection down to their eight favorites. Our thanks to Tim and Steve for an evening of terrific acoustic music. A nice crowd joined us for an evening of music with Dennis W. Parker and friends on Friday night, Jan. 18 2019. 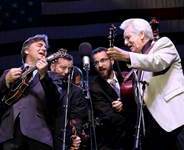 Dennis is a member of the GRAMMY-winning band Ricky Skaggs & Kentucky Thunder where he sings and plays guitar. 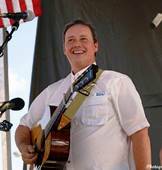 Dennis has also played professionally with Lee Ann Womack, Tracy Lawrence, Joe Diffie, Mark Chesnutt, as well as others. He is an amazing instrumentalist who has won state contests on fiddle, banjo, and guitar, and is also one of the most soulful vocalists in music today. He brings his smooth, relaxed style to bluegrass, country, gospel, pop, and soul music and makes it enjoyable for everyone. Dennis sang a wide range of songs made popular by artists such as James Taylor, Joe Diffie, the Stanley Brothers, Bonnie Raitt, and many more, and shared stories of his life journey and Christian walk. 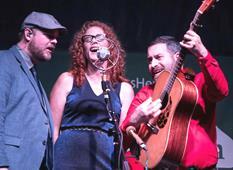 He was joined on upright bass by Alan Tompkins and also by the Purple Hulls, Katy and Penny Clark, for several songs. 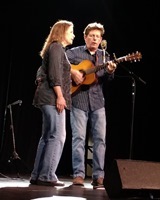 Dennis also asked Jessica Tompkins to join him on stage to sing Good Good Father. 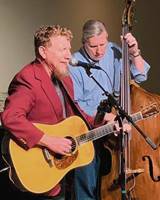 A great crowd was on hand to enjoy An Evening With Tim O’Brien, a special evening of acoustic music by Grammy-winning singer, songwriter, and multi-instrumentalist Tim O’Brien featuring Jan Fabricius. 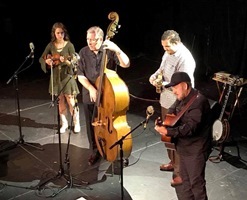 The opening act was the Downtown String Band, a Dallas-area band that highlights the bluegrass and traditional music of Gerald Jones, Hailey Sandoz, Michael Morrison, and Alan Tompkins. Pictures from the show are available in our Special Events Photo Gallery. Tim grew up singing in church and in school, and after seeing Doc Watson on TV, became a lifelong devotee of old time and bluegrass music. 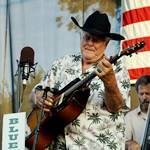 Tim first toured nationally in the 1980’s with Colorado bluegrass band Hot Rize. Kathy Mattea scored a country hit with his song Walk The Way The Wind Blows in 1986, and soon artists like Nickel Creek and Garth Brooks covered his songs. Over the years, Tim has released 15 solo CDs and has collaborated with his sister Mollie O’Brien, songwriter Darrell Scott, and noted old time musician Dirk Powell. He’s performed or recorded with Steve Earle, Mark Knopfler, Bill Frisell, and Steve Martin, and produced records for Yonder Mountain Stringband, David Bromberg, and Canada’s Old Man Luedecke. 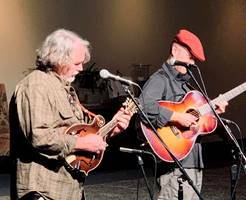 O’Brien’s show featured his solid guitar, fiddle, and banjo, along with his engaging vocals and harmony from Jan Fabricius. 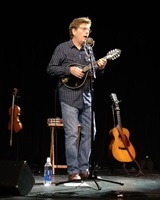 Listeners enjoyed a range of original compositions and traditional arrangements from Tim’s many albums, mixed with stories and Tim’s self-deprecating humor. 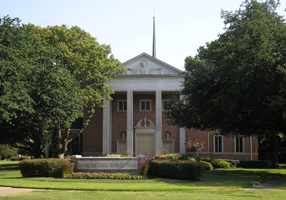 This was the first production by the Bluegrass Heritage Foundation at the McKinney Performing Arts Center (MPAC), the multi-purpose theater in the historic Collin County Courthouse. MPAC is the center of the McKinney, Texas historic district with a variety of restaurants and boutiques that make it the perfect destination for a Saturday of shopping, dining, and fun! 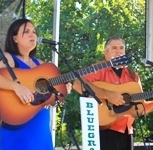 The Wylie Jubilee – Bluegrass on Ballard was a great success again for our FIFTH big year, with all the music coming from the big stage in Olde City Park in historic downtown Wylie, Texas. 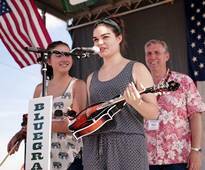 Thousands of folks enjoyed live bluegrass music as well as great food, a spectacular car show, pony rides, arts and crafts, and more – all free of charge. Check our photo gallery for great event photos. 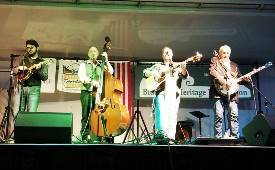 The musical lineup included IBMA Fiddler of the Year and Female Vocalist of the Year Becky Buller, along with her all-star Becky Buller Band, Texas & Tennessee (with John R. Bowman, Steve Huber, Alan Tompkins, and Ron Inscore), Sgt. 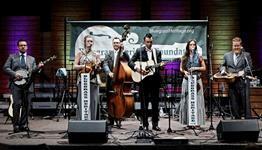 Pepper’s Lonely Bluegrass Band, Robertson County Line, the Bethlehem Bluegrass Band, and Phil Ferguson & Texas True! 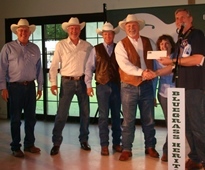 This event was made possible by Wylie Downtown Merchants Association, City of Wylie, North Texas Equestrian Center, the Bluegrass Heritage Foundation, and many other fine sponsors. Photos by Nathaniel Dalzell, Mark Porter, and Jeff Campbell. 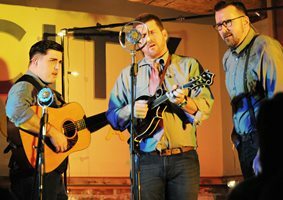 A good crowd of bluegrass fans joined us for an incredible night of bluegrass and bluegrass gospel music by The Surly Gentlemen at the University Park United Methodist Church on Saturday night, May 6. 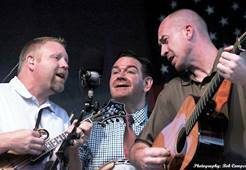 The Surly Gentlemen are Clay Hess, Tim Shelton, and Brennan Hess. Many fans first became familiar with Clay during his tenure as lead guitarist for Ricky Skaggs & Kentucky Thunder. The group won a GRAMMY Award with Clay as guitarist. 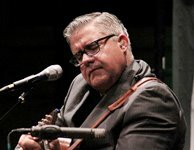 After departing Skaggs, Clay toured and recorded with several of the top bands in bluegrass, and eventually released his critically acclaimed solo CD Rain. The title track went to #1 on the BluegrassToday.com charts, and his song I Know Why has become a bluegrass gospel favorite. 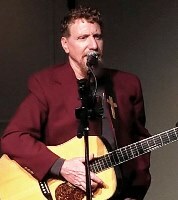 Acclaimed singer Tim Shelton was a founder and member of NewFound Road for more than a dozen years, during which the group achieved great success. Today Tim is creating his own new music and breaking out into new musical territory. Multi-instrumentalist Brennan Hess is Clay’s son and is pursuing his own musical ventures. A good group of bluegrass fans enjoyed a special evening of bluegrass and bluegrass gospel music by the Kevin Prater Band at the University Park United Methodist Church on Tuesday night, March 7. 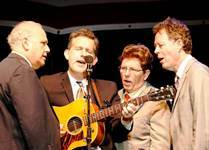 The Kevin Prater Band (from eastern Kentucky) bases their sound on strong vocal harmonies. 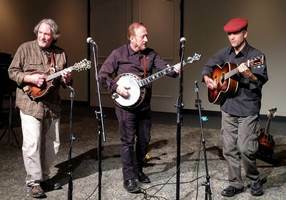 Built around high trios, their style is reminiscent of the classic Seldom Scene and 1970’s Country Gentlemen performances. They are steeped in the tradition of Gospel music and pride themselves on acapella hymns and great gospel songs. The band loves bringing old favorites to life. 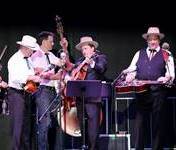 The band’s influences include the Osborne Brothers, Doyle Lawson & Quicksilver, Red Allen, and The Stanley Brothers. Lone Star Fest 2016 was held on Friday and Saturday, April 22-23 at South Oaks Baptist Church in Arlington, Texas. 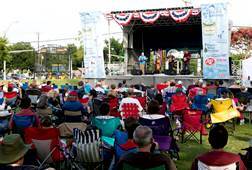 The festival featured performances by Flatt Lonesome, Kenny & Amanda Smith Band, Bobby Giles & Music Mountain, Pine Island Station, the Coleman Brothers & The Lone Star Boys, The Herrins, Robertson County Line, and Pearl & The Polka Dots. Bill Monroe’s last banjo player, official Blue Grass Boy Blake Williams, packed the house with his storytelling workshop entitled “Life on the Road with Lester and Bill.” Williams also emceed a portion of the festival and stepped in on banjo with the Coleman Brothers to play a crowd-pleasing rendition of Monroe’s GRAMMY-winning tune Southern Flavor. Attendees enjoyed a great two-day stage show and a load of jamming all around the South Oaks Baptist Church Activities Building. Many festival participants also attended the guitar, mandolin, banjo, and dobro workshops that were conducted on Saturday by Kenny Smith, Buddy Robertson, Jacob Burleson, Kelsi Robertson, David Hallmark, Michael Stockton, Robert Duke, John Meyer, and Paul Harrigill. Festival attendees Jacob Williams and Dalton Bartlett received instruments through the Play It Forward! 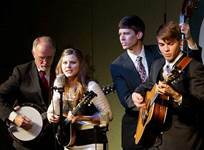 free instrument lending program on stage with help from Blue Grass Boy Blake Williams. More photographs are available in our Lone Star Fest photo gallery. Festival photographs courtesy of Bob Compere. 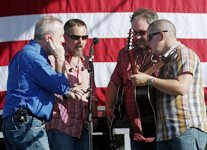 The Wylie Jubilee – Bluegrass on Ballard was a huge hit, with all the fun centered around the big stage in the center of historic downtown Wylie, Texas! Thousands enjoyed live bluegrass music as well as great food, a spectacular car show, pony rides for the kids, arts and crafts, and more – all free with no ticket required! Check our photo gallery for lots of great event photos. The musical lineup included Joe Mullins & The Radio Ramblers, Texas & Tennessee (with John R. Bowman, Steve Huber, Alan Tompkins, Gerald Jones, and Reggie Rueffer) Sgt. Pepper’s Lonely Bluegrass Band, In Achordance, Bobby Giles & Music Mountain, and Phil Ferguson & Texas True! Highlights of the day were when Lottie and Olivia King of Alvarado, Texas came on stage with their musical hero John R. Bowman (formerly of Alison Krauss & Union Station, Doyle Lawson & Quicksilver, and the Boxcars) to receive a mandolin and fiddle through the Bluegrass Heritage Foundation Play It Forward! Instrument Lending Program! Foundation president Alan Tompkins presented the instruments to the King sisters as their family watched the festivities. Later in the evening, Joe Mullins made a surprise presentation of a new Recording King 5-string resonator banjo for use in the Play It Forward! Instrument Lending Program. Mr. Mullins eloquently complimented the Foundation on the good that had been done through the program, and expressed his hope that a future banjo superstar might get his or her start on the donated Recording King banjo. Mr. Mullins noted that Janet Davis Acoustic Music of Bentonville, Arkansas endorses his group and also contributed to the donation. This event was made possible by Wylie Downtown Merchants Association, City of Wylie, North Texas Equestrian Center, the Bluegrass Heritage Foundation, and many other fine supporting sponsors. Photos by Bob Compere. The crowd also enjoyed performances by Blue Valley Tradition, Philip Ferguson & Texas True, Pine Island Station, and Runnin’ Ragged. Families explored the Dallas Heritage Village buildings and exhibits and enjoyed a picnic in the park. 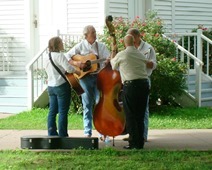 Bluegrass music rang from the porches and pathways as jammers picked their favorite tunes all afternoon. It was a great day of family-friendly music and fun. 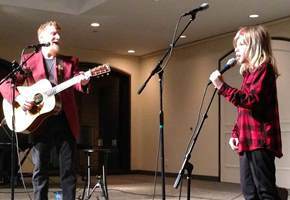 Lone Star Fest 2015 was held on Friday and Saturday, March 13-14, 2015 in the beautiful Doubletree by Hilton Hotel in Richardson, Texas. Our generous sponsors for the event included Valley Solvents & Chemicals, J&S Body Shop in Frisco, Ironhorse Commercial Construction, and Brian “Doc” Hull. 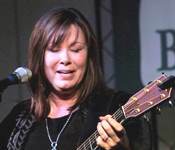 Incredible musical performances were provided by the Suzy Bogguss Trio, the Boxcars, Marty Raybon & Full Circle, Gold Heart, In Achordance, Dueling Hearts, the Sophia Johnson Band, and The Herrins. A crowd was on hand both days to enjoy the incredible music, workshops, and non-stop jamming. Guitar, dobro, banjo, and mandolin workshops were conducted by Adam Steffey, Keith Garrett, Ron Stewart, Gary Hultman, Sophia Johnson, and Luke Munday. More photos from the event are available in our Photo Gallery. Our sincere thanks to Bob Compere for the photographs. You can find out more about Lone Star Fest at the event website, LoneStarFest.com.